Fairbanks International Airport (IATA: FAI, ICAO: PAFA, FAA LID: FAI) is a state-owned public-use airport located three miles (5 km) southwest of the central business district of Fairbanks, a city in the Fairbanks North Star Borough of the United States state of Alaska. Fairbanks is the smallest city in the United States with non-stop service to Europe, as Condor offers weekly flights to Frankfurt during the summer tourist season. In addition, Air North is another international airline with flights (to Canada) and Antonov Airlines offers cargo flights to South Korea. The airport opened in 1951 and took over existing scheduled airline traffic to Fairbanks, which had previously used Ladd Army Airfield. 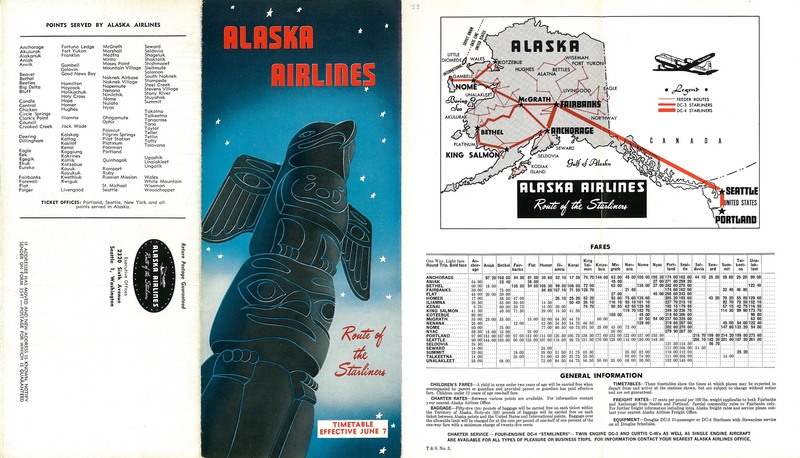 Alaska Airlines used Fairbanks as its main hub in the 1950s, with service to Seattle and Portland as well as intrastate service to Anchorage, Nome and other destinations. By 1967, however, the airline shifted its Alaska hub to Anchorage; its Anchorage-Fairbanks service continues to this day. 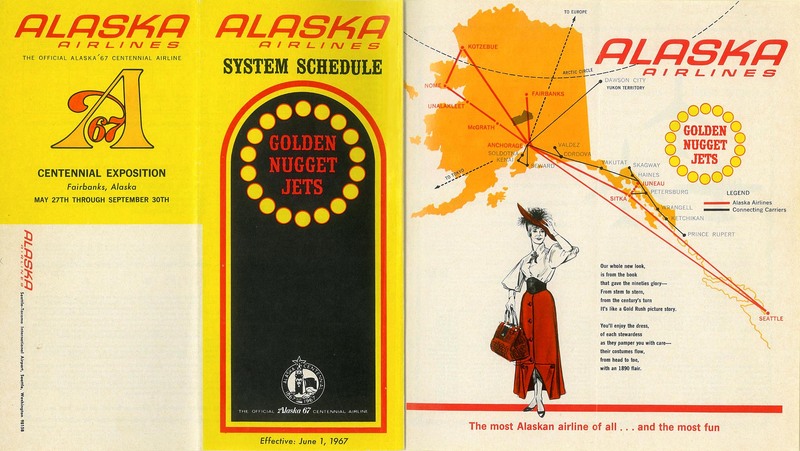 In the mid-1970s, following the development of the Trans-Alaska Pipeline, Alaska Airlines and Braniff International offered "interchange service" between Fairbanks and Houston via Anchorage, Seattle and Dallas. In 1982, following airline deregulation, Alaska Airlines and American Airlines began a similar interchange service using Boeing 727s. Pan American World Airways had also served Fairbanks since 1932. The station was originally opened after the acquisition of Pacific International Airways and used for short-haul services to Juneau, Seattle, Ketchikan, Whitehorse and other destinations. Pan Am intended to use Fairbanks as a stop for service to Asia as early as 1931, but initial difficulty in negotiating landing rights with the Soviet Union, followed by the outbreak of World War II, delayed these plans until decades later. Pan Am service to Fairbanks continued through the opening of FAI until 1965, when the Civil Aeronautics Board terminated Pan Am's rights to serve Alaska. Pan American World Airways eventually used Fairbanks as a stopover for transpacific service from New York and Seattle to Tokyo starting in September 1969. In 1974, Pan Am agreed to transfer its Fairbanks-Seattle service to Western Airlines, and requested that the CAB allow its New York-Tokyo service to be suspended from April 1975. Other carriers such as Japan Airlines and Korean Air began to use Fairbanks as a technical stop for transpacific cargo flights in the late 1970s. On October 11, 2009, the airport constructed a new terminal and demolished the old terminal which was built in 1948. The new terminal is built around the modern TSA standards. In addition to architectural design and better security, the main terminal now has six jet-bridges (up from the former five). The 2,700m2 of custom unitised curtain wall was designed and supplied by Overgaard Ltd. Hong Kong. The special design incorporated double low-e triple glazing. The new building's footprint is smaller than the old building. For the 12-month period ending February 28, 2018, the airport had 119,898 aircraft operations, an average of 328 per day: 58% general aviation, 31% air taxi, 9% scheduled commercial, and 2% military. At that time there were 569 aircraft based at this airport: 91% single-engine, 8% multi-engine, <1% jet and <1% helicopter. The terminal building, situated on the southwest side of the airport, contains seven gates: two for commuter carriers and five for larger carriers. In September 2013 there were two incidents of vehicular trespass onto its taxiway and runways, by users unknowingly following Apple Map's errant directions to Fairbanks International Airport. The directions indicated access to the Main Terminal via Taxiway B, which connects the East Ramp to the passenger terminal on the West Ramp. No one was injured nor were any flights were delayed. The Airport has since complained to Apple Inc, through the local attorney office and erected barricades along the final stretch of the runway to prevent future occurrences. ^ a b c d FAA Airport Master Record for FAI (Form 5010 PDF). Federal Aviation Administration. effective April 27, 2017. ^ a b c "Fairbanks, AK: Fairbanks International (FAI)". Bureau of Transportation Statistics (BTS), Research and Innovative Technology Administration (RITA), U.S. Department of Transportation. December 2016. Retrieved November 26, 2018. ^ a b "History of Fairbanks International Airport". Fairbanks International Airport. Alaska Department of Transportation & Public Facilities. 2011. ^ "Alaska Airlines system schedule". Timetable Images. June 7, 1953. ^ "Alaska Airlines system schedule". Timetable Images. June 1, 1967. ^ "Alaska Airlines System Wide Routes". Departed Flights. February 1, 1975. ^ "History of American Airlines". American Airlines. June 2015. Archived from the original on 2012-05-26. ^ "Pan Am to stop Alaska flights, closes chapter in aviation history". Ellensburg Daily Record. UPI. September 19, 1978. ^ Kiffer, Dave (December 29, 2006). "Pan Am: Once Ketchikan's Link to the Outside World". Stories in the News. Ketchican, Alaska. ^ "Pan Am introduces the first nonstop service from Fairbanks to Tokyo". Fairbanks Daily News-Miner. August 5, 1969. ^ "Pan Am route map" (Map). Departed Flights. February 1, 1972. ^ "Pan Am World Routes" (Map). Departed Flights. April 29, 1973. ^ "Pan Am route sale to Western okayed by CAB". Eugene Register-Guard. Associated Press. February 14, 1975. ^ "40-Mile Air Scheduled Destinations". 40-Mile Air. Retrieved January 15, 2017. ^ "Everts Air Schedule". Everts Air. Retrieved May 5, 2017. ^ "Warbelow's Flight Schedule". Warbelow's Air Ventures. Retrieved May 10, 2017. ^ "Schedule". Wright Air Service. Retrieved May 10, 2017. ^ "Apple Maps flaw results in drivers crossing airport runway". BBC News. September 25, 2013. Wikimedia Commons has media related to Fairbanks International Airport. This article based on this article: Fairbanks_International_Airport from the free encyclopedia Wikipedia and work with the GNU Free Documentation License. In Wikipedia is this list of the authors .